Ah, the Lamb of God that takes away the sin of the world, we all know that scripture well. We read it and we instantly think of that 6 foot tall white man with a perfectly trimmed beard and blue eyes. That’s right the idol of Jesus. The one everyone says, we need to believe in to be saved. But is believing in a dead man from two thousand years ago Salvation? Or is that just a line we have been sold? Or is salvation within us all. If Christ IN you is the HOPE of Glory, why do so many put their faith in a Christ OUT of them, far away, and supposedly coming soon? Well the answer is simple. The longer one is told they have to do this or that, and then wait for salvation, then these “sheep/lambs” will continue to support those telling them to do so. So sad is the state of religion of mankind and those trapped by it, that it seems to me no surprise that daily my eyes are opened to new and exciting truths that put the beliefs I was force-fed as an ignorant sheep/lamb of god of their head. So must we believe is someone outside of ourselves to have salvation, and that is all. Must we wait for this once dead and now risen man to return to whisk us away, or is salvation of God and of God alone… And does this salvation come from within us, and within us alone. The Old Testament always made it clear that coming to know God is your salvation and strength. Salvation has little to do with simply agreeing with what some preacher, profit (spelling intended), priest, rabbi, Iman, or guru tells you, and it has everything to do with “coming to this knowledge and understanding” that God IN You, is the only hope there is. Could it be that salvation does not come with any other cost, then simply giving up who you think you are in this world, giving up your fears, blind worship, guilt, worry, doubt, ignorance, suffering, and “I”dentity, instead of holding on to all of that and believing in a man people tell you, YOU NEED TO ACCEPT AS YOUR LORD AND SAVIOR OR ELSE! Wisdom is the PRINCIPAL thing. That means it is the MOST IMPORTANT THING? So where does that leave out the worshipping of a SINGLE MAN? Nowhere is the answer. We are told very clearly where our worship should be, and it is not to worship a Man or a Son of Man… Which unfortunately, everyone is doing. They have reduced the Image of the Incorruptible God into the IMAGE of a corruptible MAN. Meaning, there are MILLIONS that don’t seek salvation at all, because they have been brainwashed into believing in an IDOL. An IDOL mind you that NEEDS to be put to death, to take away this great sin. After all the Lamb of God is sacrificed and in so doing, it takes away the sins of the world. The long and short of it people is this, your worship of a single man outside you from years ago, called the Son of Man is one of man’s greatest sins (errors). Notice this, MAN lies, AND the SON OF MAN needs to repent. AND GOD IS NEITHER. And this Jesus that everyone is worshipping today, was the SON OF MAN, as well as being the Son of God, but here is a newsflash… SO ARE WE! Now you wouldn’t go around telling people they need to believe in you, worship you, and bow down and serve you to be saved, would you? OF COURSE NOT! The reason is, you innately know that God is much more than your SOUL, much more than who you think you are in this world, God is NOT A MAN, or the SON OF MAN, or the EGO OF MAN. No, God is out life! The SPIRIT that exists in all, animated all, leads all, molds all, and this spirit is ONE, not many, ONE! Salvation will NEVER come by simply worshipping, or claiming someone’s name, or going to church every sunday and doing what the sheep shearers tell you to do. Salvation ONLY COMES, the SINS OF THE WORLD are only taken away when the LAMB IS SLAIN! – When you die to who you think you are, when you let go of the cares of this world, when you stop worshipping yourself and believe yourself to be in control of everything, and become one with the SPIRIT OF GOD, which is HIDING away inside the veil, that is to say, your IGNORANCE/FLESH/EGO. So why are people telling you, you need to accept Jesus into your heart, make him Lord of your life, and then pointing you to a man from thousands of years ago to put your faith in, as opposed to directing you to the TRUTH that has been hidden from the ages, the Mystery of the Kingdom of God, which has ALWAYS BEEN WITHIN YOU? Why aren’t they telling you to turn within, and stop paying tribute to idols, and false beliefs and traditions? Why aren’t they teaching about how the ONLY HOPE OF GLORY there is, is CHRIST IN YOU, THE KINGDOM IN YOU?! The answer is simple… MARKETING 101. This is a time-tested technique. The elite, know most people will just take their word for it and won’t go to God. The elite, are egotistical liars who are enslaving God’s children, they are task masters who want to keep everyone in fear and guilt and keep the only salvation there TRULY IS far from them. Let’s take a look at the tools of marketing for a second. Anyone with a marketing or business degree knows this. There are basically four things to make a business succesful, and religion has mastered it. Let’s take a look at them. I am not picking on Catholics here, just trying to point out something. Religion takes scripture, which they obviously don’t truly understand or have a greater revelation of and twist it to fit their agenda. Let’s be real people, they say the goal of the Christian Churches and their thousands of denominations is to SAVE SOULS… Many evangelical preachers will go so far as to say based on the number of people who came up to the altar that they SAVED 50, or a 100, or more… And then will tell people we need to raised more money to save more… But let’s be real, God doesn’t need anyone’s money to save, and God can save perfectly well without the help of religion. The sad and ugly truth of Religion is this, IT’S ALL ABOUT THE MONEY! SHOW US THE MONEY AND WE’LL SHOW YOU HEAVEN, they promise. Yet, they do nothing but make people more ignorant and hurt than they are. So why am I here? To tell you, you don’t need to do what religion says, you don’t need to go to church, you don’t need to give into fear tactics, you don’t need to give your money, you don’t need to do anything but RETURN TO GOD! And the only way to do that is to GO WITHIN YOURSELF and SEEK TO FIND! It is truly disturbing what I see in the land today. Sadder still is the fact that when I was ignorant of the scriptures, and still a child in my walk, I too was a fool (didn’t really believe in God because I believed in religions god, which is CARNAL MAN’S EGO)… the god of this world, is the god religion is worshipping today and it is MANKIND’S EGO. But now that my eyes have been opened I see that the key has always been within, and it isn’t up to me or anyone else to say you have to do this or to do that to find salvation. It’s up to God, and he will place the desire in your heart to find the TRUTH for yourself, which will set you free. WE DON’T DO THE WORK REGARDLESS OF WHAT THE FEAR MONGERS TEACH! We are SAVED, when our MINDS ARE CHANGED, RENEWED. And until that day, sadly religious people are so hateful, prideful, and insecure that anyone who states something different from what they have been brainwashed into believing, the fangs come out. And it isn’t pretty. But this is only because they are ignorant to the truth. They don’t have the knowledge of the TRUTH. Now does this mean, they are going to die… NO! It means their EGO, their outer man is still dying. They haven’t put off that former conversation with the flesh (which basically is, worship the image of mankind instead of the spirit hidden within the image) – This OUTWARD man, this OUTWARD BELIEF, HAS TO GO… And the good news is, it will! I want you to look at the TWO GODS in this world. One is TRUE, One is FALSE.. Then question and ask yourself which God is the God you worship. God wants to deliver and set free, his words and promises are true, does not condemn, saves all. Mankind’s ego (god of this world) wants to rule, hoard, dictate, condemn, and control, is a hypocrite who condemns, damns. The True God – is our Father – which when translated from the original text doesn’t mean father in the natural sense… not at all. You might be surprised to find out what it means however. You have to remember the bible uses metaphoric language, it is an allegory (and yes some has literal meaning, but even that has a metaphorical undertone and truth to is) – So we must discern, and seek the deeper meaning of even the simple words we find like “Oh Father who art in heaven” – If we don’t we will see God as an Old Man with a beard… as opposed to what scripture states God to be. 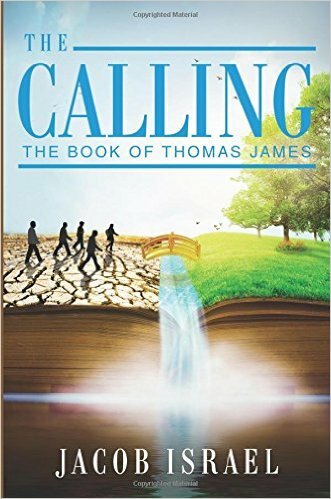 And no one can see the SPIRIT… It is like the WIND, as are the children of the GREAT SPIRIT called GOD or FATHER… So when we read Father, we are not meant to take it as a literal man, but as a generator, creator, a divine force that creates, leads, and guides… as temporal Father’s do. Here is the original word and definition. And our GOD IS ONE… which means the self-same spirit that is IN ME, is IN YOU! And this SPIRIT governs our thoughts! So even though we have DIED and left the world of the living for the LUSTS OF THIS DEATH (IGNORANCE/FALSE BELIEFS), WE WILL RETURN to the UNITY we had before the creation of the world… and I means the LUSTS THEREIN. So let me try to briefly get into the LAMB OF GOD, and dispel some of the false beliefs we have had about this LAMB as being a symbol of peace and salvation. When in fact the LAMB is the very thing that needs to BE PUT TO DEATH. The LAMB IS THE OLD MAN, slain from the foundation of the world. Now this is about to change everything about what you have believed about this LAMB! First please notice, the BOOK OF LIFE… what is the BOOK OF LIFE ABOUT… The answer is, THE LAMB SLAIN. The Book of Life OF the lamb slain. Now we would think this means, that the LAMB was Jesus and he was sacrificed to save us before the literal world began… BUT YOU’D be thinking wrong. The LAMB/SHEEP of God is HUMANITY… Adam/jesus/everyone – ADAM was slain… Adam means HUMANITY, MANKIND it nothing to do with a single man, but it means ALL OF MANKIND. It is a plural word, Adam is. So God created man in His own image; in the image of God He created him; male and female He created THEM! Note the word THEM… Man=mankind = all of us. And when the WORLD (we know by now, this means the LUSTS OF THE WORLD) was conceived in the mind of man (eating of that tree) mankind was slain. Oh I know, many will say this is not what it means. But let’s look at that verse in revelation again, and translate a few words for you, to see WHY the LAMB was slain. And here is a hint, it wasn’t TO SAVE ANYONE, it was SLAIN (cut off from the land of living/enlightenment) FROM, FROM, FROM the foundation of these LUSTS (WORLD). Why did I write FROM three times? Because it doesn’t mean from as in a literal date… Take a look at what it literally means. So really this scripture has nothing to do with a single man being murdered to appease some vengeful gods wrath. But it has everything to do with how we (humanity) became ignorant of God… we created an EGO for ourselves and then began to worship that EGO (old/outward man) and we even created a god out of that EGO and we called him Jesus. This my friends is the sad truth. Although many will say Jesus the MAN is God (knowing full well scripture says God is not a man) – people need to understand the message that Jesus of the scriptures was trying to get across… If you don’t lose your EGO you won’t save your sense of identity and life, if you don’t follow him and do as he did (crucify the flesh), if you DON’T BECOME THE SLAIN LAMB you won’t be worthy to open the BOOK OF LIFE which is yours to begin with, to find every NAME (nature) that is written in there. Jesus wanted people to take their eyes of of his “I”dentity/ego… and put their eyes on the FATHER. The FATHER – which simply means the ORIGINATOR AND CONTROLLER OF EVERYTHING IN US, ABOUT US, FOR US. If Jesus the “ego” man was a good man, he wouldn’t have corrected the rich man. Jesus was always trying to get people to take their eyes off of him, and place them on God. If Jesus honored himself, as Christian Religious leaders try to get you to honor him, he would be as big a mess as the people teaching that nonsense. Here is the problem in a nutshell. People worship Man’s Ego (the one formed from the dust that the serpent eats (carnal mind assimilates)… instead of Man’s SPIRIT which is LIFE INDEED. And why wouldn’t we? We have been sold a lie from the day we were old enough to understand the words coming out of the liars mouths. REMEMBER the first man (nature of you and me) is dead in our trespass… and what is our trespass (the foundation of the world) – the creation of these lusts within us, thinking we are god, believing we have to do this or that to inherit anything. The Ego man has been exalting himself about God for so long, saying God is outside of him or her that God (who is man’s true spirit) had to cast him and her down. I know some of you will say, WAIT A MINUTE THAT IS SATAN… well I don’t have time to correct that, but God will, and I do have an article about Lucifer on this blog to the left of your screen somewhere, find it. So why did the LAMB need to be sacrificed? — TO TAKE AWAY THE SINS OF THE WORLD… because it was the LAMB (ignorant mankind) that fell victim to all of this nonsense to begin with. So the LAMB has to be slain, and once it is SLAIN – it will be worthy to open the greater truths of God. I know you think the Lamb is a peaceful animal and a symbol of our savior. 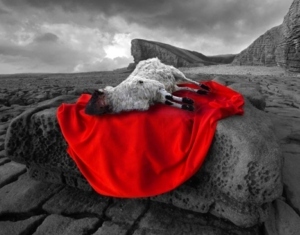 News for you, the LAMB is the farthest thing from the SAVIOR… that is why it needs to be put to death. THE SHEPHERD is the savior not the sheep. 11. Will die if left alone. Does that sound like a LEADER AND SAVIOR? A sheep is a total meathead, is scared all the time, can’t defend itself from enemies, subject to the mob mentality (sound like any religious people we know), doesn’t want to be cleaned, can’t tell the difference between dirty or clean water, is perverse and will eat poisonous things, and if it lands on its back, IT CAN’T GET BACK UP! Wake up call people… The Lamb and the Lion lying down together is not some great beautiful picture of peace, it is an allegory of how all the ENEMIES (egotistical natures in man) of GOD will not be able to hurt those enlightened to the truth. OF COURSE THE LION, WOLF, BEAR, SNAKE, AND LAMB hang together, they are meant for each other, because they are all FALSE IDENTITIES in MANKIND. Don’t believe me, look at this verse carefully. The wolf also shall dwell with the lamb, and the leopard shall lie down with the kid; and the calf and the young lion and the fatling together; and a little child shall lead them. 7And the cow and the bear shall feed; their young ones shall lie down together: and the lion shall eat straw like the ox. 8And the sucking child shall play on the hole of the asp, and the weaned child shall put his hand on the cockatrice’ den. 9They shall not hurt nor destroy in all my holy mountain: for the earth shall be full of the knowledge of the LORD, as the waters cover the sea. Read that again, scripture states the LAMB SHALL NO LONGER HURT OR DESTROY those in God’s holy mountain…. I know right? Crazy! Think about it, being a fearful, ignorant, helpless lamb is more damaging to the Kingdom of God then anything. The animals we find here are all symbols of natures in mankind. The GOOD NEWS IS, one day, these natures will not hurt GOD’S PEOPLE… why you ask? BECAUSE PEOPLE WILL HAVE KNOWLEDGE OF GOD! Let’s take another look at the LION and LAMB, and how the Lamb and Lion story is not some beautiful story about everyone getting along, but about how once people come to the knowledge of the truth these perverse natures within us, will be a thing of the past… BECAUSE THEY WILL BE SACRIFICED AND KILLED OFF! 23They shall not labour in vain, nor bring forth for trouble; for they are the seed of the blessed of the LORD, and their offspring with them. 24And it shall come to pass, that before they call, I will answer; and while they are yet speaking, I will hear. 25The wolf and the lamb shall feed together, and the lion shall eat straw like the bullock: and dust shall be the serpent’s meat. They shall not hurt nor destroy in all my holy mountain, saith the LORD. Once again, we see Isaiah quoting God as saying the LAMB WILL NO LONGER HURT OR DESTROY in my HOLY MOUNTAIN (which is of course our heart/mind) — God states hear, God is in control and things will be good, and we will suffer no more. NOT BECAUSE HE MURDERED A MAN NAMED JESUS, but because we SACRIFICED this LAMB NATURE to take away the SINS OF THE WORLD. Think about it, what happened to be killed and utterly destroyed for the spirit of death to pass by in Egypt? THE LAMB! Then once that was done they were set free! When John was pointing out the LAMB OF GOD that takes away the sins of the world, he was pointing out the OUTWARD MAN, that HAS TO BE SACRIFICED… As Jesus said, WE ARE CRUSIFIED WITH HIM, as Jesus said we must pick up our cross and follow him, we too as the LAMB OF GOD must enter that sheepgate to become the Shepherd of the sheep. Sheep are not called into the Sheep Gate so a man named Jesus can take care of them… They are called into the Sheepgate to be slaughtered! That is what the Sheep gate is, it is where the Lambs/Sheep are brought to be sacrificed for the sins of the world. We are as SHEEP lead to slaughter are we not? This is good news. We are led to a place where we can put the false nature/identity of who we think we are to death, and then we can be risen again into life. And what happens when we enter the sheep fold? The Door is CHRIST, And when you enter into Christ the OLD MAN (LAMB) must die. Now believe it or not, this really is great news for me and you. WE CAN’T FAIL! We will do as Israel did we will sacrifice that “lamb/sheep” nature, we will do as Jesus did, we will “sacrifice our lamb/sheep nature” and the instant we do so, we will be resurrected into the newness of LIFE. The LIFE that we left. 6All we like sheep have gone astray; we have turned every one to his own way; and the LORD hath laid on him the iniquity of us all. 7He was oppressed, and he was afflicted, yet he opened not his mouth: he is brought as a lamb to the slaughter, and as a sheep before her shearers is dumb, so he openeth not his mouth. 8He was taken from prison and from judgment: and who shall declare his generation? for he was cut off out of the land of the living: for the transgression of my people was he stricken. If you have eyes to see it… this speaks of us, and the God within us… We are the Lambs/sheep that went astray, we have been oppressed, afflicted, we are brought as lamb’s to slaughter (thank God for this) we have been dumb as sheep, we have been taken from the prison and judgment of our ignorance, we were CUT OFF FROM THE LAND OF THE LIVING (enlightened), we made our grave with the wicked and rich in death (ignorance) and because of all of this, our TRUE NATURE (Christ in Us/God’s Holy Spirit) had to bear it all, as we bore it all… FOR WE ARE ONE PEOPLE AND WE WILL ALWAYS BE ONE! Onederful news….thank you Jacob for spreading the goodness…may it bring freedom to whomsoever will!! Excellent post….as one who has spent a little time in the 4-H animal raising world, there are a couple of other sheep characteristics that are worht mentioning. When obtaining sheep for showing purposes, it has been said by experts that you cannot have just the one sheep. You must have at least two, or they will not eat or do well at all. Also, sheep have VERY poor “depth-perception” as far as their eyesight goes. That may explain why so many “followers” of so-called shepherds just blindly go where the shepherd leads them and never give a thought to anything beyond what is right in front of them. Thanksfor the insight on sheep, I have been to sheep showing shows in Missouri, and they were in pairs or more. never alone. They had also mennonite women showing you how to take the sheep wool and spin it into yarn, it was so interesting to watch. DanG….all of your questions can be answered by seeking and then waiting…I have found revelation and inspiration in the silence of seeking within…your resolution to your unanswered questions is a personal journey to enlightenment….it comes to you when you seek to know just because……. OMG! Missing pieces are popping into place, that I was conscious of, like a kid jumping on bubble wrap! But also, God, through you, is also unearthing & awakening unconscious missing pieces in me!!! It just keeps getting better & better…beyond what I could have thought or imagined. Once a convert is won by the church the church makes them twice as much a product (son) of ignorance (hell) as the one that won that mans heart. Amen! It gets better and better! No offense here, I truly see what you are saying Jacob..and CLEARLY! Jesus is an idol, he was never meant to be worshiped. He was a ‘model’ for us to follow. Powerful stuff once again! That is why he preached the “Kingdom of God” within you, because it truly is. Right on Alicia! The pattern for which we all follow, what he did we do, or we have nothing at all do we.. Peace and thanks for the comment. the Truth remains…illusions come and go…if We are forever, We shall know the Truth! If Jesus’s Death was Sacrificing the death of his ego as an exame for us all or even a sacrice for all mans egos then wouldn’t that be suicide rather than atonement. I think I’m following you just not sure if I agree yet. I believe that the Purpose of the messiahs life was to live , teach, and then die for all mankind. For their sins. God accepted the final blood offering. He said it was finished. I also believe that he lives within me. I live because of Him. My life is changed because of him. In regards to worshipping him I am forever grateful for what He accomplished. Once again Jacob you are unwrapping from us the veils of religion. Good article. Joh 1:29 On the morrow he seeth Jesus coming unto him, and saith, Behold, the Lamb of God, that taketh away the sin of the world! Rev 5:6 And I saw in the midst of the throne and of the four living creatures, and in the midst of the elders, a Lamb standing, as though it had been slain, having seven horns, and seven eyes, which are the seven Spirits of God, sent forth into all the earth. Rev 19:9 And he saith unto me, Write, Blessed are they that are bidden to the marriage supper of the Lamb. And he saith unto me, These are true words of God. Rev 21:23 And the city hath no need of the sun,Rev 22:2 in the midst of the street thereof. And on this side of the river and on that was the tree of life, bearing twelve manner of fruits, yielding its fruit every month: and the leaves of the tree were for the healing of the nations. neither of the moon, to shine upon it: for the glory of God did lighten it, and the lamp thereof is the Lamb. Hey there! For some reason your comment went to spam, I fished it out, and approved it… God I love those verses… The Lamb Slain – (The slaughter Lamb) is indeed the one who will be the Shepherd… as “Those that enter the sheepfold/gate (entrance to temple for sacrafice) the same become the Shepherd of the sheep.” I love it! Thanks so much! WOW! Beautiful peice of thread in the tapestry of the wholeness. you would diminish Jesus Christ to embellish yourself!!! What does it matter what false ministers or “profits” have said? If the blind lead the blind….., you’ve done this before and I said nothing, now I tell you plainly, continue on this path at your own peril….at whose feet will it be that you will cast your crown? Good article. Causing me to think more about questions I’ve had: if Jesus died on the cross to save us and forgive us our sins, why do we have to keep asking him to forgive our sins? God In Me is such an awesome, beautiful thought! Jacob this article has open my eyes to see God’s wonderful true love that He has for us all.I have been reading many of your writtings and I see with new eyes. I have been seeking the truth of God’s love for many years I know now that is God spirit in me that is coming to know the truth and how he loves us all. I still have times I have fear come in my heart but after reading this truth it is fading more each new day. Made you really think exactly what a sheep is and does, and acts like, and they do eat the posineous plants, and topple over in a ditch and can’t get up and will lay there and die if someone don’t come to the rescue, and they don’t like being alone. Also the dogs that sheep herd, has to bite at their ankles because their so stubborn and won’t go the right direction being herded, or wondered off and the dogs have to make them change their direction and get back to the herd. They have to be chased down and redirected. I had a batch of rotten apples from a tree, and they could smell it and they followed me all over the place wanting those stinky apples so did the cows and llamas followed. The stench drove them to follow, just like the world and its smelly stench it puts out to attrack us, and the tv commercials, media, news, put out a stench and it attracks us and we like sheep follow the smell. The world lures us, by our senses, if its pleasing to our senses we turn to that direction gladly. Good article, makes you think and ponder and makes sense, we need to read deeper than we do, not just read the surface of things and go by mans thoughts and ways and traditions. God said to diligenty seek Him so He may be found by you, diligently seek Him, go deeper than go deeper yet. These are great truths Bro! The Lord continue to bless you! Oh boy, that took some digesting… never mind sheep, that’s some major sacred cow tipping! My mind is open, I’m chewing the cud….but like a cow I may have to chew and digest several times! But it is truth, I feel it already………. Therefore; was not the Blood of the spotless lamb of God, that was without blemish, that was shed for the sins of the world, to count for anything??? What was all of His suffering on that cross all about??? Forgive them Father they no not what they do!!! Are you saying that we can redeem ourselves apart from the Blood of Christ, The Spotless lamb of God??? In the book of “The revelation of Jesus Christ” it is written,: Rev 12:11 And they overcame him by the blood of the Lamb, and by the word of their testimony; and they loved not their lives unto the death. Who does man say that I am, Peter said; YOU are the Christ !!! The son of the Living God!!! What would you say to Jesus if He asked you; “Who does Jacob say that I the Son of Man am”??? Peter got it right!! !